The Nazarene Palace is located in the heart of Cuzco. 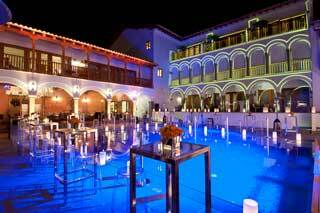 Located in a quiet square behind the main square of Cusco, the ancient palace restoration after years to become one of the most exclusive hotels in the city. 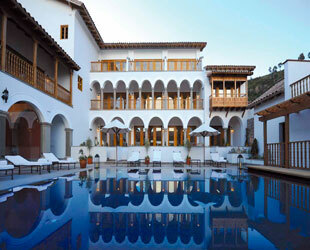 The Nazarene Palace offers a wide range of 55 suites with stunning views of the old courtyard or pool. Some offer sweeping views of the hills of the Inca site of Sacsayhuaman or Cuzco Cathedral in the Plaza de Armas. Each of the peaceful terraces and courtyards are landscaped with native flowers and grasses. Senzo Restaurant offers exceptional food in an exciting atmosphere and refined at the same time. Particularly dishes include indigenous herbs and decorated with edible flowers, many of which are grown around the hotel. 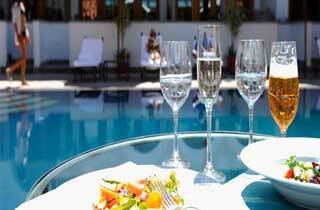 You can enjoy cocktails and refreshments in the only heated outdoor pool in Cuzco.